Opening night for the Boston Celtics at The TD Garden is vs. the hungriest team in the East, the Philadelphia 76ers (Oct. 16). The No. 1 seed Toronto Raptors are favorites for the Celtics’ biggest Eastern Conference rivalry again this season, and they come to the TD Garden twice, on Nov. 16 and Jan. 16. Last year’s toughest upstart contender in the East for the Celtics was the Washington Wizards, who beat the Celtics three of four games, once in double overtime. The Celtics host the Wizards March 1. The longest-running rivalry in NBA basketball is between the Celtics and the New York Knicks, who come to Boston on Nov. 21 and Dec. 6. And another Celtics rivalry, vs. the L.A. Lakers (Feb. 7), is bound to heat up again this year with the addition of one LeBron James to that team. On Martin Luther King Jr. Day, the Celtics host the Miami Heat (Jan. 21), and they bring defending NBA champs the Golden State Warriors to town Jan. 26. 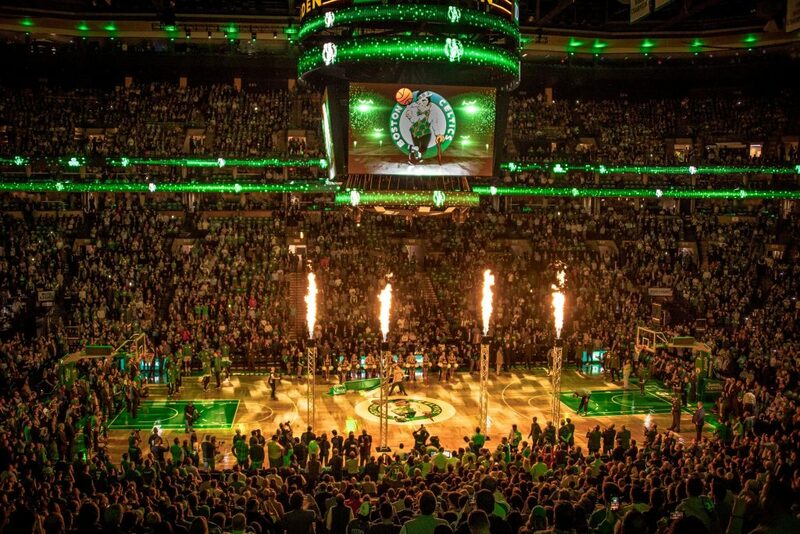 The last regular-season game at home for the Celtics this spring is April 7 vs. the Orlando Magic. The Boston Celtics, founded in 1946, have played at TD Garden since 1995. The Garden is built directly over MBTA’s northern train and subway hub, North Station—which is also how some locals refer to the neighborhood around the arena. The Garden seats more than 18,000 people for NBA games, and 17,500 for its other flagship team, NHL’s Boston Bruins. (The venue also hosts ice skating and other special events.) The Celtics have won 17 NBA championships and have played in the Finals 21 times. Individual game tickets for all games are available now. Stay up to date on the Celtics all season on Twitter @Celtics. All game times are local and subject to change.